Sequels by and large are unnecessary appendage to the original product, more often than not churned out to piggy back on the success of the original. Rarely has a sequel surpassed the original although The Godfather Part II, Terminator 2: Judgment Day, The Dark Knight, the Before Sunrise and the Lord of the Rings trilogies and The French Connection 2 to name a select few do put a spoke in this argument. A genuine sequel therefore should seek to take the story forward, enhance the experience and give the audience something different to chew on rather than a regurgitation of the formula that worked for the original. 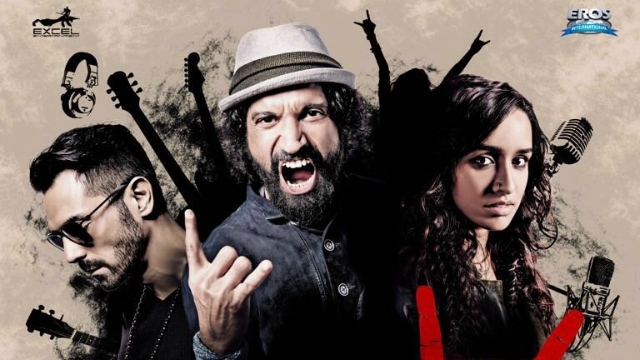 Released in 2008, Rock on was a film with a different take on relationships, embellished with an inventive score by Shankar-Ehsaan-Loy and bursting with a freshness that belied all expectations. 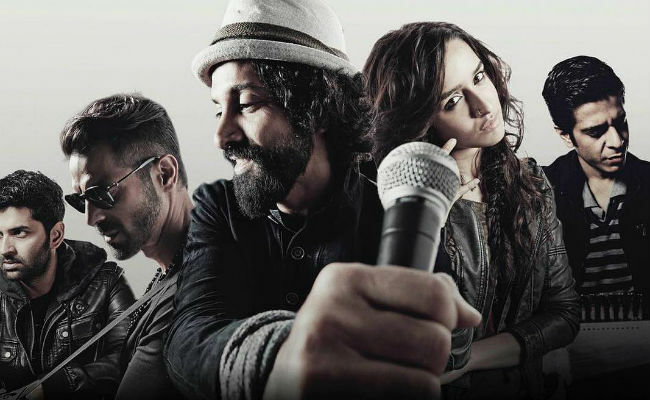 8 years later, Rock On 2 seeks to revive the “Magik” with a post script of the lives of the four protagonists of the original. A tragedy has found three of the four (one died in the original) in different parts of the universe, inhabiting their own worlds, exorcising demons of the past. Most haunted by the tragedy is Adi (Farhan Akhtar), now living in seclusion in Megahalaya, bereft of his family and trying to assuage his guilt by opening up a farmers cooperative, a children’s school and essentially being a messiah for the lost and lonely in Meghalaya. Joe (Arjun Rampal) on the other hand, the previously impoverished guitarist is now a reality judge on a TV show and owner of nightclub, broody and prone to silly spats with KD (Purab Kohli) who apart from being the narrator of the film has little else to do but provoke facile arguments meant to demonstrate how each of the protagonists has to wrestle with a soulless existence after “Magik”. Music plays a perfunctory part really, with the inclusion of a song here and there trying to inject life into the film’s droll trajectory; indeed, “jaago” appears to be an in-joke, included to awaken a snoring audience somewhere in the middle of the film. In parallel, we are introduced to Jiah (Shraddha Kapoor), another tortured soul, crushed by a feckless father so consumed with grief that any sound or talk of music is forbidden. Making music in the garage and escaping to remote parts of the country to record folk music, Jiah crosses paths (rather conveniently) with Adi when the latter is on a destructive path, having seen all his good work literally going up in smoke. Abandoning the folk women, she rushes to a distraught Adi, ostensibly intent on making the jump from the edge of the mountain to ask, “are you Ok?”. Curling up in horror, Adi sheds a tear and collapses, something that I should have done at the very same time. Rescued by his friends (how remains a mystery), Adi and Jiah (rather conveniently) meet again in Mumbai only for the pre-fabricated angst to return, as we trundle towards a boring, oh so very predictable finale and let me add, not a moment too soon. Quite honestly, Rock on 2 is a horrid mess, a lamentable attempt to elongate the original film with a story that reeks of insincerity. There is not a moment of genuine drama, everything being staged, from dialogues to the fake trials and tribulations of this woefully miserable set of characters. It’s all cardboard stuff and should hurriedly make its way to the recycling bin. From the lead actors, its Farhan Akhtar who produces, acts and sings, all of which he does in a somnambulist state. 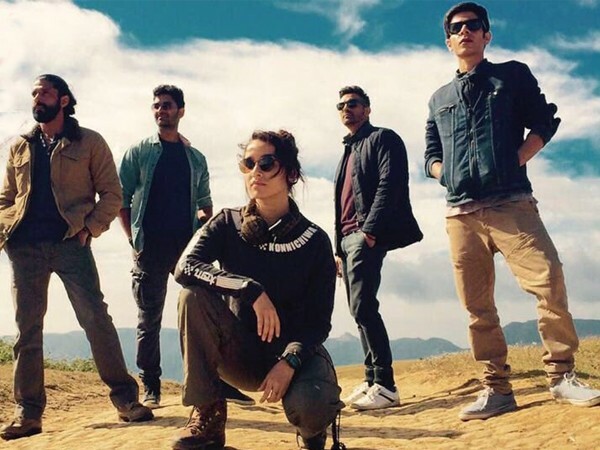 Rampal, all grizzled and grumpy, grunts here and there while centre stage goes to Shraddha Kapoor. Never an engaging actress, her efforts at portraying inner pain are so palpably forced that you recoil rather than feel any sense of emotion or empathy for her. Purab Kohli has lost his sparkle and there’s no Gloria Gaynor here to revive any interest. As for the music, Sindbad the sailor must be turning in its grave!”!!!! The “Majik” is over.